Founded in the fall of 2017, Flax Sleep is the brainchild of three Vancouver women with an entrepreneurial spirit and common love of a good night’s sleep. The brand’s collection of French linen sheets, duvet covers and pillowcases are ethically manufactured with a portion of all proceeds donated to providing a safe place to sleep for women and children in need. ﻿Who are you and what do you design? We are Anna Heyd, Oana Papuc and Vivian McCormick the women behind Flax Sleep a 100% French Linen bedding brand. Tell us about your journey as a brand. We starting Flax Sleep when we ourselves were looking for simple, timeless linen bedding for our homes at a reasonable price. We could not find anything in the Canadian market that satisfied our needs. So, we started on the Flax Sleep journey just a little over a year ago and have been putting linen bedding in people's homes across the country and beyond since April. If you could choose one word to describe your collect what would it be? From the things we love. From one another. From our ongoing quest for rest and wellness. Starting your own business is a big risk in itself. Putting your ideas out there in hopes the world likes them as much as you do feels really risky. So far both friends, family and strangers have been really excited about what we are doing, which is a really amazing feeling. Is there a designer or brand with whom you’d love to collaborate? We have been so fortunate already to collaborate with amazing brands and designers in our early days. We hope to continue working with inspiring collaborators who value sleep and wellness as much as we do. So many things. 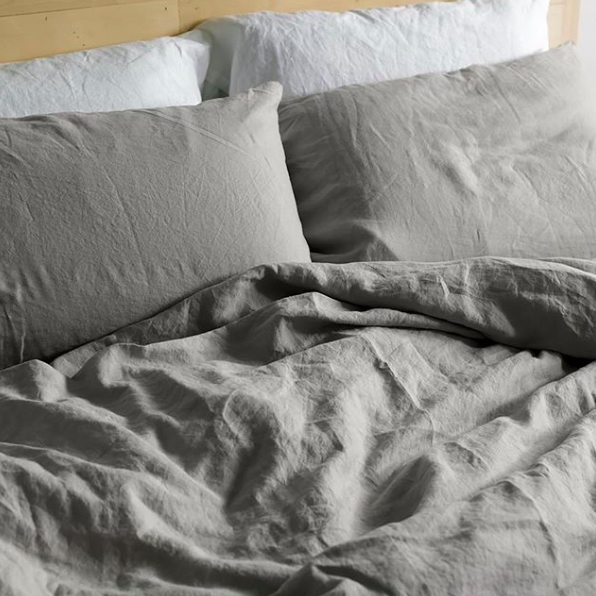 Letting people across the country realize the benefits linen bedding has on their sleep. We also plan to expand our product line beyond bedding into sleepwear, home essentials and more.